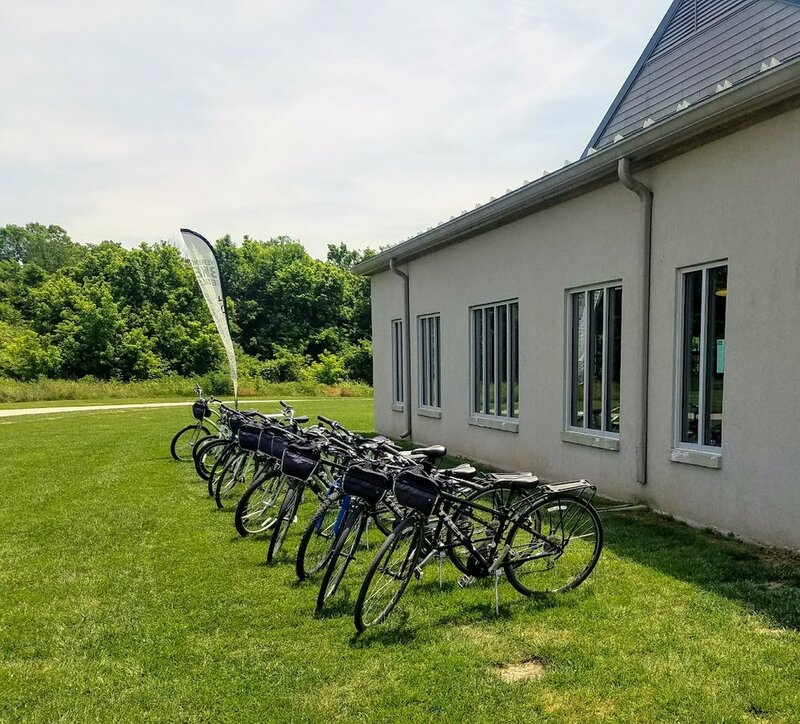 Blue moon bike rentals are located in our primary location the John Floyd Community Building. This is the Pope Lick section of The Parklands which offers great biking and wonderful views. 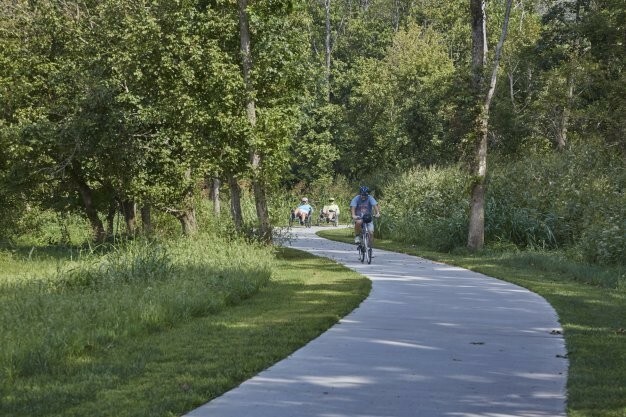 You can bike The Strand (12 mile round-trip) or stay on sections of the Louisville Loop and bike over the creek taking in all sights and sounds of nature. Most of the bike paths are flat or can be more challenging, we can help guide you on the best route. Helmets are required with all rentals and biking etiquette is essential for a smooth ride. Rent 3 hours and get the fourth hour free! Why not make a day at the park.....? Pedal and paddle The Parklands!